Organic. This deep blue green algae gives a blast of protein and iron. You’ll feel anything but blue. Also available in Vegan Capsules. Origin China. Probably the most well known green superfood, it’s bright green colour has been added to smoothies for years. This algae is nutrient dense and easy to use, and Organic. Spirulina has been around for years and is probably the first Superfood that most people have used and heard of. If you haven’t seen or heard of Spirulina, or even tried it then now is the time! 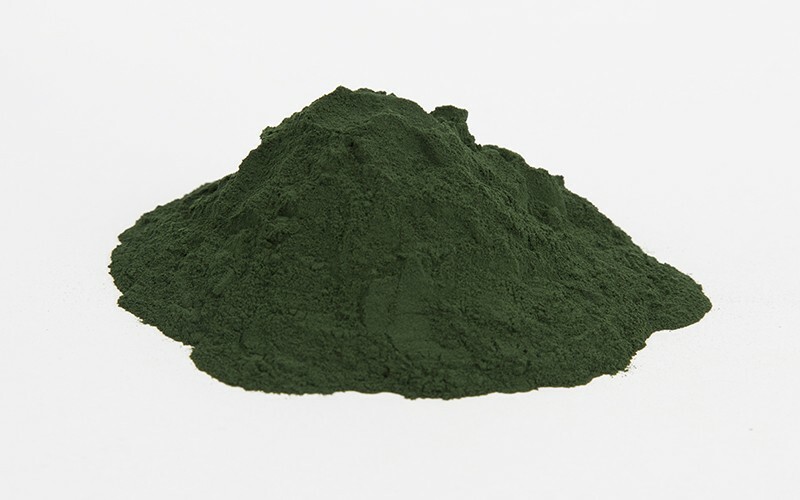 Spirulina like Chlorella is a blue-green algae, it grows in shallow water where it converts sun into energy. “Blue-green algae” describes a large and diverse group of simple, plant-like organisms found in salt water and some large fresh water lakes where it is then harvested and dried into an easy to use powder. Spirulina is one of the oldest life forms on Earth. In fact, this blue-green algae is partly responsible for producing the oxygen in the planet's atmosphere that billions of years ago allowed the planet's originating life forms to develop. Spirulina is the world's first superfood, and one of the most nutrient-rich foods on Earth. 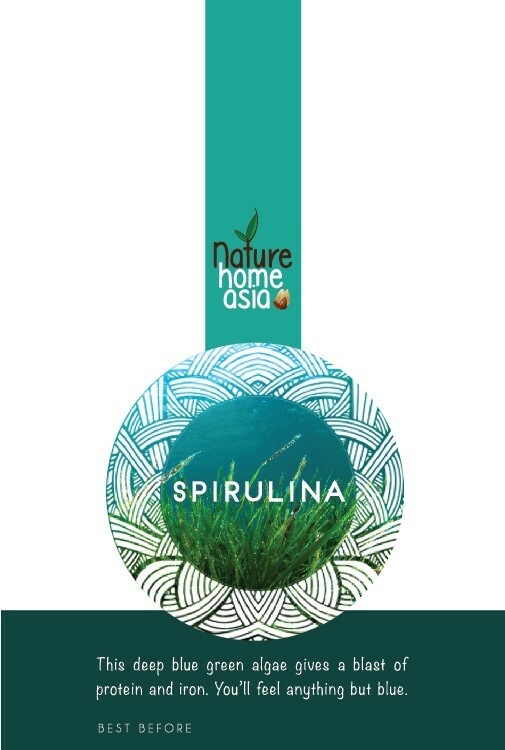 Spirulina has between 55 and 70% protein (more than beef, chicken, and soybeans), 8 essential and 10 non-essential amino acids, as well as high levels of gamma-linolenic acid (GLA), beta-carotene, linoleic acid, arachidonic acid, vitamin B12, iron, calcium, phosphorus, nucleic acids RNA & DNA, chlorophyll, and phycocyanin, a pigment-protein complex that is found only in blue-green algae. 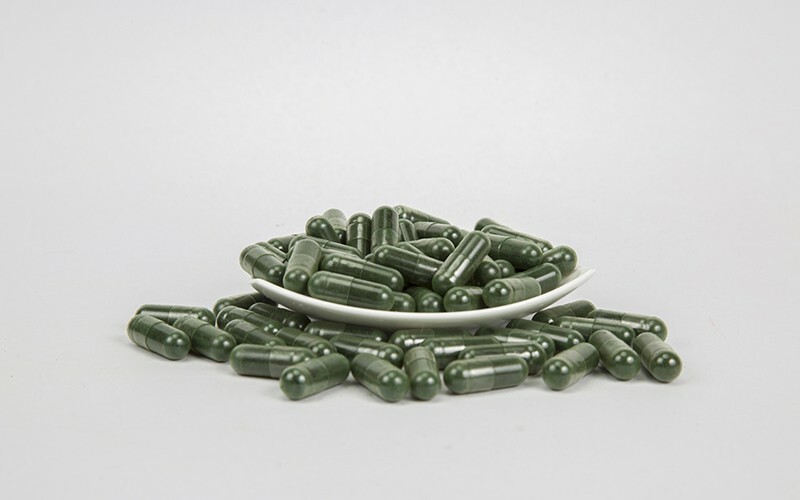 Spirulina provides a wide range of health benefits almost immediately upon ingestion. It provides a near-instantaneous boost to one's energy, while helping to improve endurance and reduce fatigue. It helps improve the immune system, and provides exceptional support for the heart, liver, and kidneys. Spirulina is also a natural detoxifier due to it’s very high chlorophyll content, oxygenating the blood, and helping cleanse the body of toxins and other impurities that may be causing illnesses or other health complications. It’s very easily absorbed so perfect for an instant boost or if you have poor digestion. It does have a unique flavour, some people love it and for some it takes a little getting used to. The best way to take it is in your smoothies. Start with adding one teaspoon to your smoothie and mix it with berries until you get used to the flavour. Spirulina can be added to energy balls, protein bowls, mixed into dips and sneaked into raw chocolate. It’s great for kids too and very useful if your vegetarian or vegan to increase your protein intake and prevent nutrient deficiencies. Spirulina saves the day!